Privy Council President General Prem Tinsulanonda this morning offered high praise to the present government and commended Prime Minister Prayut Chan-o-cha for his honesty and selflessness. 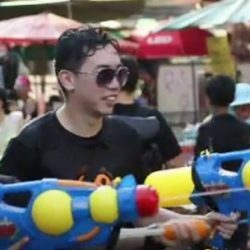 “I can say with certainty that the prime minister’s government is not corrupt because he has truly devoted himself to the country,” Gen Prem said in address to members of the military trop brass and Cabinet members who were led by Gen Prayut to offer him well wishes on the occasion of Songkran Festival which is Thailand’s traditional New Year’s Day. “But if I am wrong, the prime minister has to do something about it,” he quickly added. 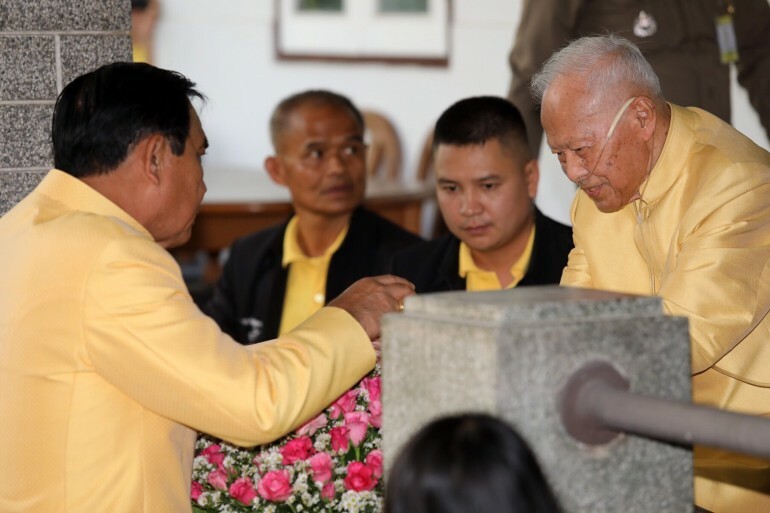 In keeping up with a decades-long tradition, the 99-year-old statesman opens the Sisao Theves guest house every Songkran Festival to welcome well-wishers, who usually include cabinet members, senior government officials and representatives of the private sector. Despite his advanced age, Gen Prem appeared to be in high spirit while greeting well-wishers today. 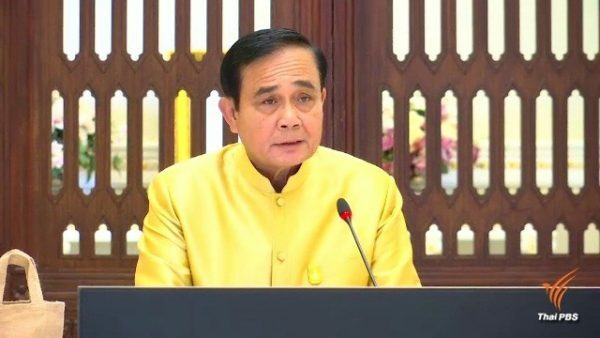 Prime Minister Prayut later told reporters that he felt relaxed and happy whenever he meets the Privy Council president whom, he added, always offers him advice on personal matters, such as how to live happy life and how to manage affairs of the state. 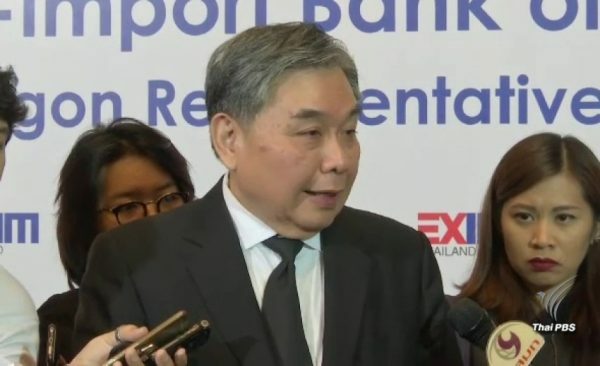 He said that the bond between military officers and General Prem dates back a long way and many people do not understand this relationship, adding that the Privy Council president has repeatedly told government officials, himself included, that their first priority is to serve the people and to safeguard the three pillars of the country namely the Nation, the Religion and the Monarchy. During the visit, General Prem was seen talking with Army Commander-in-Chief General Apirat Kongsompong and reportedly told the latter not to pay too much attention to criticism and to concentrate on his duties and responsibilities. 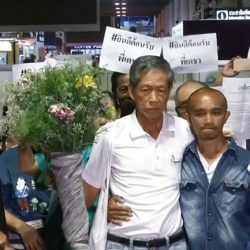 Gen Apirat has made headlines for his broadside against people whom he accused of harhouring negative attitude toward the Monarchy.